We only purchase raw materials that have been hand-picked through a strict process of selection from suppliers around the world. 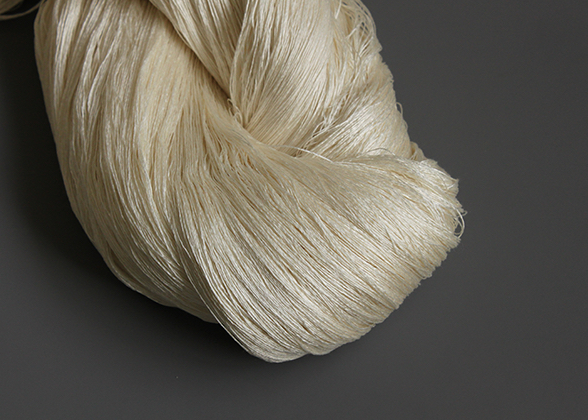 We directly import mainly silk, but also mohair, cashmere and other natural fibers, from China, South Africa, India, Thailand and other places. HASEGAWA’s staff has rich experiences of know-how about cost, delivery, quality negotiating. Our ability to quickly gather up to the minute information about local markets means we can provide high quality materials as a matter of course, and guarantee quick delivery at a stable price. This is the only long naturally occurring continuous fiber, because it is the actual yarn expelled by the silkworm when they make cocoons. 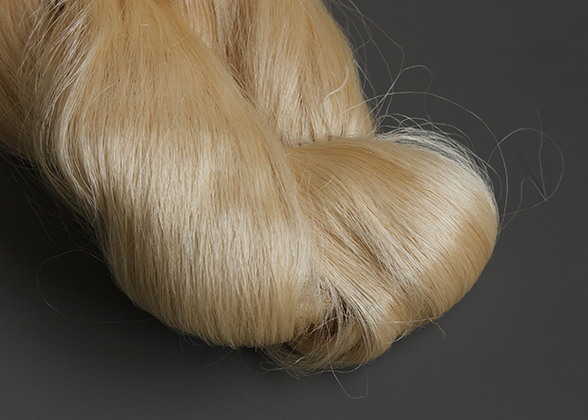 There are no hairs, the material smooth and feels pleasant against the skin, and is distinguished for its magnificent drape and the way it shines like a pearl. 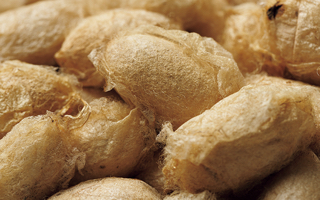 Byproducts and unraveled cocoon are spun and become spun silk yarn. The softness and elegant sheen of the spun silk sets it apart and the process is comparatively simple, giving it excellent cost performance. 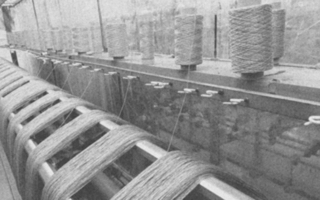 Short fibers generated by the spun silk manufacturing process (10 -30 mm) are re-spun on a special machine. 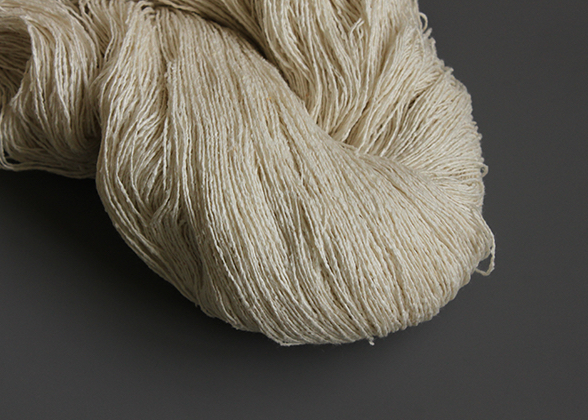 The characteristic of this yarn is silk 100% but having a simple and plain handmade feel. 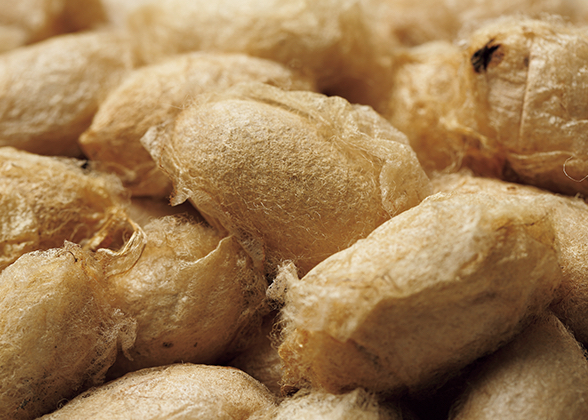 Complete farmed cocoon gently and carefully raised in a house, the external appearance of this silk has a high quality and delicacy, like a beautiful and sheltered maiden. Mulberry silk glows with a beautiful sheen and the light and darkness of the triangular cross section combine to produce a spectacularly distinguished luster. 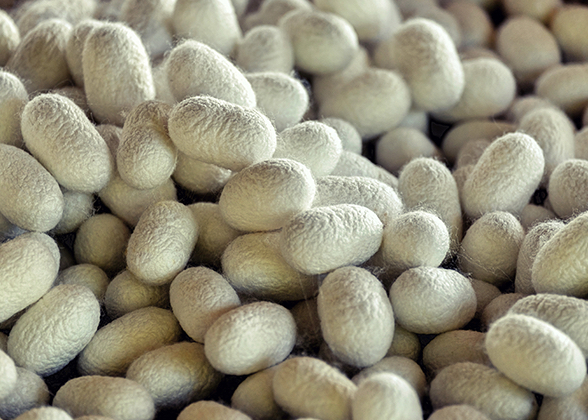 Produced by rare and highly valuable semi-wild silkworms raised in the mountains (seeded by human) tussah silk has the appeal of an outdoor wild feel. The yarn, which has survived a harsh natural environment, is thick and elastic and stands out for their lightness and dry texture. 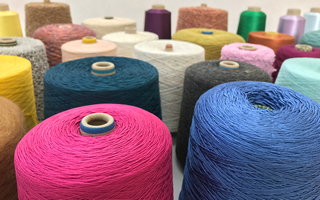 HASEGAWA only uses supima cotton, which is a highly rare extra-long cotton that accounts for only 7% of all cotton produced. We pay twice the cost of other companies for raw materials in order to ensure our normally casual silk/cotton blends have an extra-specially luxurious feeling. 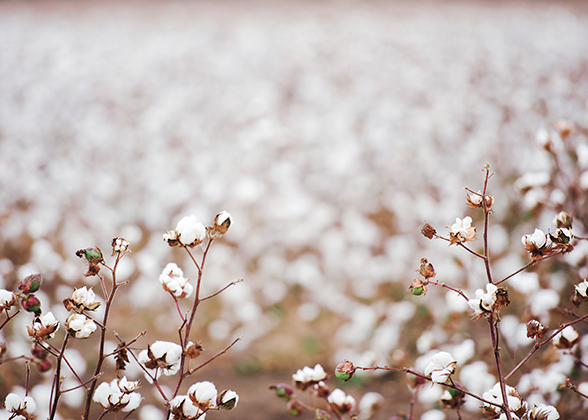 From the field to the finished product, this cotton is grown with consideration for the effect on the human body and the environment. 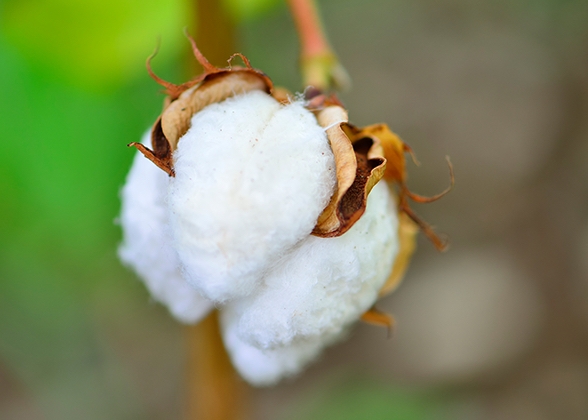 Chemical processing is not used, producing organic cotton that is gentle on your skin. 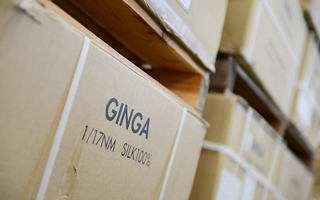 The product, which is directly imported by HASEGAWA, stands out for its natural smoothness and resilience. 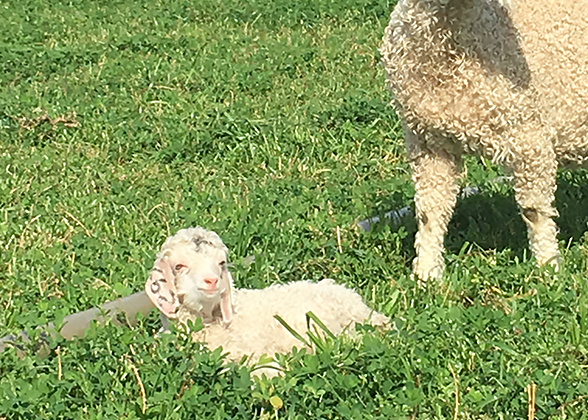 HASEGAWA directly imports superfine kid mohair 24 microns from Africa with only from the first fleece of 6 months angora goat. HASEGAWA directly imports white cashmere from China’s Ningxia Hui Autonomous Region, one of the world’s leading cashmere production areas. 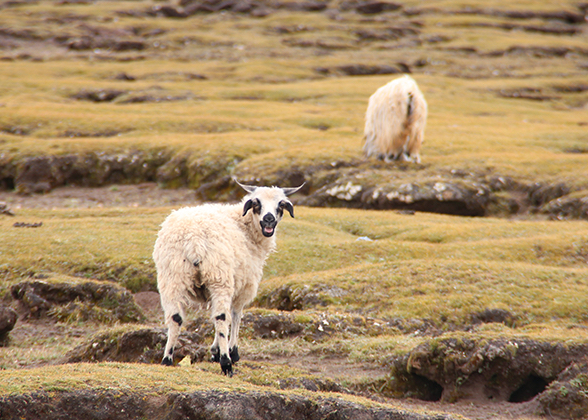 We carefully select raw cashmere wool with fibers between 15 and 15.5 microns that has been carefully processed to remove all coarse hairs and impurities according to traditional production methods. 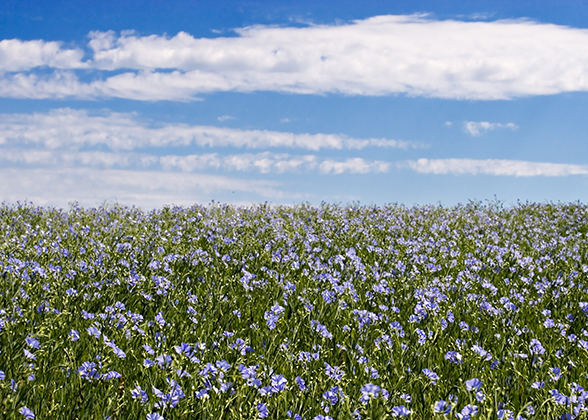 HASEGAWA directly imports linen from the top linen brands that produce using European flax grown mainly in France. 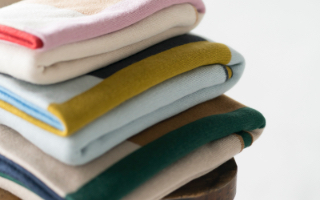 HASEGAWA’s linen stands out for its beautiful luster and lack of impurities, which makes it exceptionally soft to the touch. 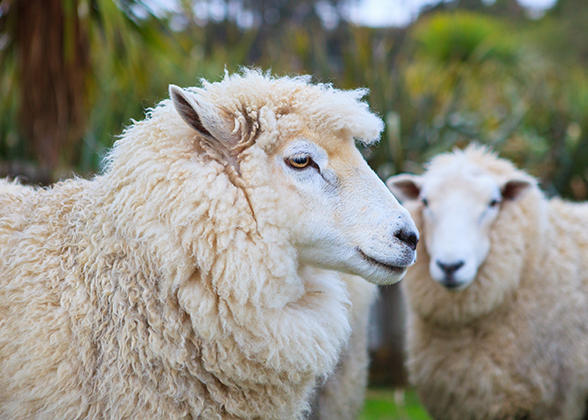 HASEGAWA directly imports wool top, carefully selected according to the purpose of the yarn, from production areas in Australia, New Zealand and South Africa for spinning in Japan. 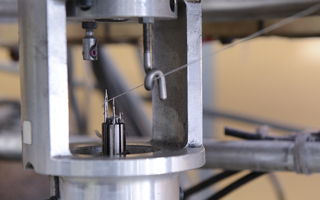 Our main products use superwash shrinkproof wool with a fineness of 18.5 microns.